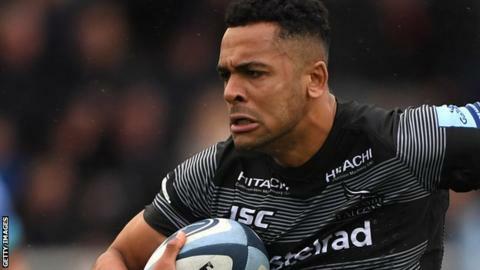 Newcastle Falcons winger Zach Kibirige has signed a new two-year contract with the Premiership strugglers. The 24-year-old academy graduate has scored nine tries in 10 appearances this season in all competitions. Former England Under-20 international Kibirige suffered a broken leg on his Premiership debut in 2013-14. "We've got an incredibly talented squad here, we're working hard to improve our league position and I'm learning every day," he told the club website. Newcastle have won their past three games but remain three points adrift at the bottom.